“I will meet you in front of Kaminarimon police box.” This basic but very important instruction might sound like something out of a whodunit novel or a Doctor Who episode but it is, in fact, the meeting place for the beginning of a culinary journey with Tokyo Kitchen. Founded by Yoshimi Daido and located a five-minute walk from Sensoji Temple in Asakusa is Tokyo Kitchen, an English-speaking Japanese cookery class. 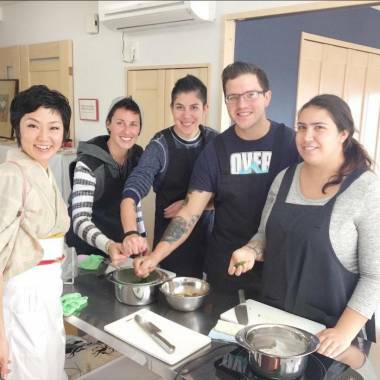 Although Daido’s main clientele consists of tourists from around the world, the cookery classes are also perfect for expats who would like to begin learning or broadening their Japanese kitchen skills, or even the Japanese local who hasn’t quite managed to perfect their donburi (rice bowl dish). What makes Daido qualified for the job and why should you learn from her? It’s simple. She was raised in a traditional Japanese family and started cooking from the age of 12 to “satisfy her own curiosity” and to help her parents. She has been cooking for over 30 years and I can vouch that she does it well. So yes, learn from the master. Tokyo Kitchen prides itself on teaching the everyday dishes eaten in Japanese homes. Here, you can learn how to make sushi rolls, tempura, okonomiyaki, sukiyaki, katsu curry, ramen, gyoza, karaage, gyudon and so much more. But they also go the extra mile by providing lessons on how to make kawaii dishes that would put a smile on every adult’s or kid’s face. My menu of choice was the aforementioned kawaii dishes, “Teddy Bear and Bunny Sushi Rolls,” and also a soboro don (ground chicken bowl) topped with a boiled egg snowman. Upon arriving at Tokyo Kitchen, we are seated in the dining area and given a highly passionate, informal yet expert talk on the background of Japanese seasonings. 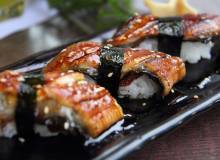 This includes topics such as the differences between soy sauce, sake and mirin, how they are made and how to use them. Japanese table manners are also under the microscope as Daido explains important factors like chopstick etiquette, the faux pas of eating and the Japanese words for different food textures. Then it’s time to don the aprons. Side dishes are taught first. We are given a demonstration on how to perfectly construct Japanese rice, dashi, miso soup, spinach with sesame sauce and chilled tofu with condiments using very fresh ingredients. Daido’s passion is apparent with every word she speaks and in the sparkle in her eyes. She’s patient, eloquent and has a very hands-on technique. 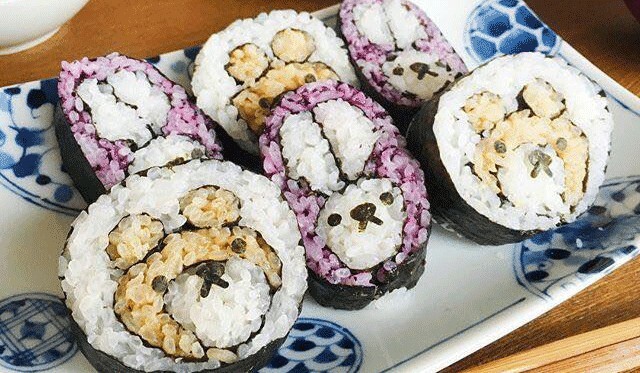 The Teddy and Bunny sushi rolls are perfect for parties (if you want your kid’s lunchbox to be the talk of the playground) or for Instagram (obviously). We are guided step-by-step from the rice-making to the cutting and rolling. This is by no means a one-woman show; learners are completely part of each process. When she (meticulously) cuts, you cut, when she chops, you chop. Thanks to Daido’s infectious enthusiasm, I felt a great sense of accomplishment with even the most basic action. The sushi rolls look more difficult to make than they seem and are nothing short of edible art. Differently colored rice (made with natural dyes) is used for each part of the animal. The end result (the face) is perfected with stamped nori sheets for the nose, eyes and mouth. 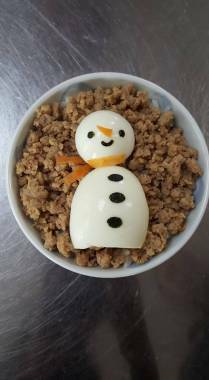 Next up was the soboro don, topped with a snowman-shaped egg. Soboro don is a traditional Japanese dish in the form of a rice bowl topped with minced pork and egg crumbles. We learn how to make finely-scrambled pork and egg (completely different from your usual scrambled egg) from scratch. The snowman was made by…well, you’ll have to book the class to know the trick. The session does not end there. We were escorted back into the intimate dining area to feast on our creations (although they’re so pretty we almost didn’t want to) while socializing with our cooking peers and the host herself. If you’re lucky, her kids and husband may be there too. Daido takes photographs throughout the class and makes videos so every guest has a memory to take home. Recipe cards are also given and you’ll leave the kitchen with a smile and a full stomach. 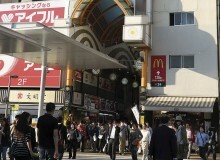 Classes cost from ¥7,500 to ¥10,000 yen and are for a maximum of six guests. 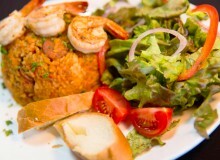 You’re very welcome to come alone and menus can be changed if you are the first person to book. There are many other super kawaii bento dishes to learn and you can always request recipes that are not on the website. If you’re in Tokyo and not into kawaii, you are missing out.